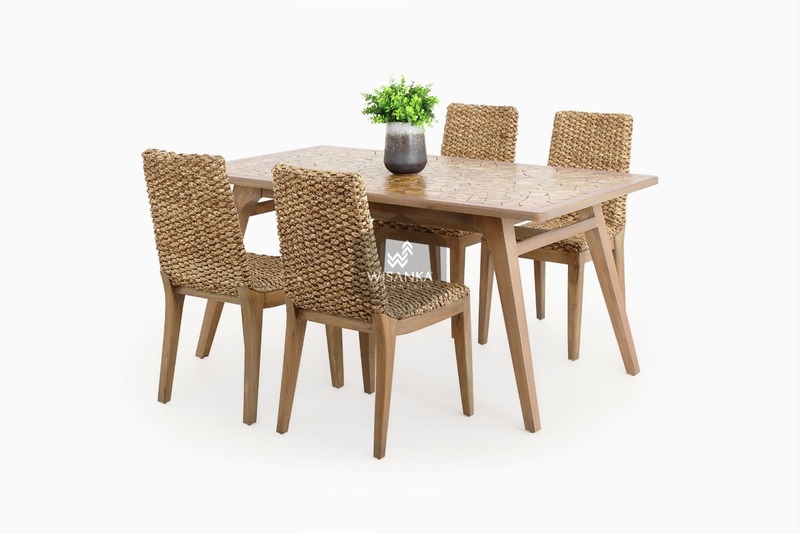 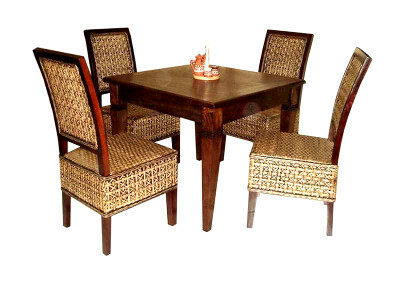 This Bione natural fiber dining set of two high-back wicker dining chairs lends warmth to contemporary and transitional interiors with a dramatic silhouette and contrasting natural hardwood legs. 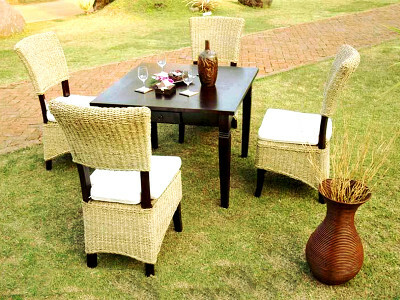 Each beautifully woven natural fiber and natural rattan chair has natural variations in shading and pattern. 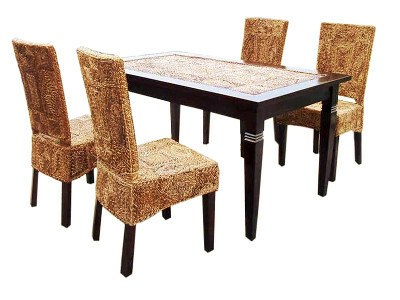 This is a perfect companion for your home, whether in the country side or busy city.